Currently, only Aviva and Great Eastern offer partial disability income. The difference is that Aviva offers a standalone policy while Great Eastern offers as a rider to a whole life policy. Read on to find out why it is important and why you need it. What is partial disability income? “A properly designed disability income programme ensures a monthly income payout if you cannot perform your primary occupation because of an injury, accident or any illness – which need not be one of the 30 major illnesses named by the insurer. Your earning ability is your most valuable asset as you are the goose who lays the golden eggs. Most insurance policies only pay when the golden goose drops dead or is critically ill, but this is not enough. What we need to do is to insure the goose’s ability to lay the golden eggs. For example, no insurance plan pays a teacher if she loses her voice and has to quit teaching. Loss of voice does not meet the definition of TPD, but is sufficient to trigger disability income payouts. Similarly, no insurance plan pays a pilot if he is grounded for his diabetic condition. I got a whole life policy with the disability income rider. The sum assured is calculated such that when the partial disability rider ends at age 55, the life policy can be terminated and the money returned is enough to cover the entire premium paid. This means that I get free coverage till 55! It is important to note that the disability income is pegged at 75% of your current salary. Even if your salary increases in the future, the disability income will still remain the same at the time you purchased the policy.disability income. What you can do is to add on another income protection plan to top up the increase in your income. This is especially important if you took on more obligations or liabilities when you income increases as income protection essentially provides for one’s fixed recurring expenses. Secondly, the payout is only made after 2 to 6 months (depending on your occupation class) from the moment one stops working. So one has to survive on emergency savings in the bank during the interim period. It is important to check with your employer how long a period you will continued to be paid if you are disabled and not able to carry on to perform your role in your designation as that will be crucial to determine the pre-benefit period. One will not be able to received benefit payout from both employee’s benefit and also an insurer to an amount more than 75% of last drawn salary. There are instances where your life, critical illness and accident policy do not cover. Partial disability income will payout as long as you are not able to work due to physical impairment, whether permanent or temporary. If the physical impairment is not due to an accident, you cannot claim the accident policy. If the disability is not permanent, you cannot claim the life policy. If you do not suffer from critical illness, you cannot claim the critical rider to your life policy. But the cruel fact is that you cannot work because of your physical impairment, and you have to stay at home for maybe the next 2 years. Partial disability income will payout to you during this tough period. If you do not have this protection, you will not receive a single cent from all your insurance policies. Would you mind sharing how you calculated the sum assured of your whole life policy because I understand that the premium for Disability Income Insurance is not guaranteed. He would be more appropriate to give you the answer based on your situation. 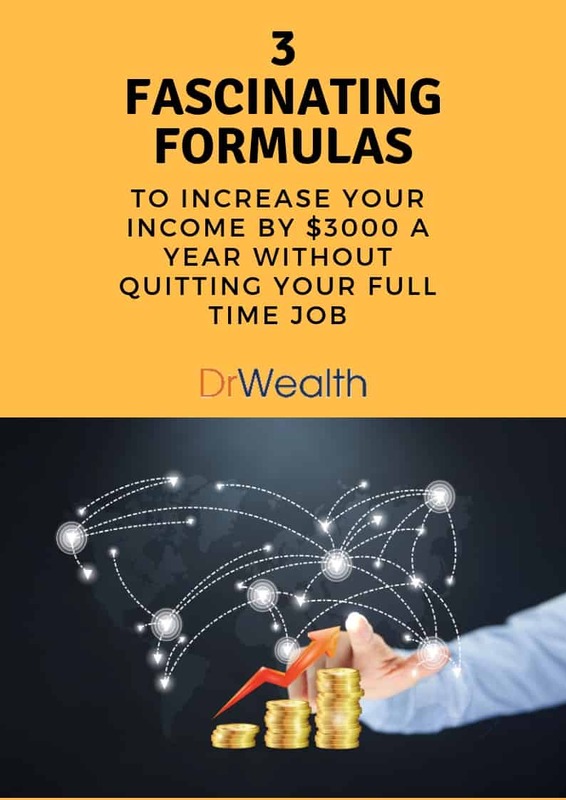 3 Fascinating Formulas to Increase Your Income by $3,000 a Year without Quitting Your Full-Time Job.